Updated the 5E D&D rules for most of these races. (Porting over from the 'backtracked' Race Page at CC). Also adjusted Religion to match the Religion Page here. Nov 7th, 2017. Added orcs. Added: Religion to each race present. These are the races that can be found in isolated pockets and do not reign over a significant region or civilisation. They are less likely to be encountered on a regular basis in the central Dragon Isles. As such, these races have shorter write-ups and rules for playing them may not be below. If you wish to play one of the following, let me know and I will write the race up in full. Not content with just warping creatures to reflect her beloved chromatic dragons, Tiamat has recently had her priests perform rituals on metallic dragon eggs. This was done as a direct affront to Bahamut and to 'beat' Bahamut from creating his own kind of metallic spawn. (Something Bahamut is very unlikely to do as he devotes his attention to the dragonborn). These new breeds of 'spawn' can be found anywhere there are devoted followers of Tiamat, but they have only appeared in the last few years. Obviously, metallic dragons eggs are sought after by these cults for the creation of more draconians. Groups of draconians have been reported in Arkhosia, Maru-Qet and Sanghor, but there is no knowing where they will turn up next. The draconians are devoted to serving Tiamat, her spawn and her priests. Otherwise known as the 'Spawn of Tiamat', there a many variations and draconically-mutated creatures that fall under the spawn, but there are also several humanoids that are possible as player characters despite their wicked tendencies. 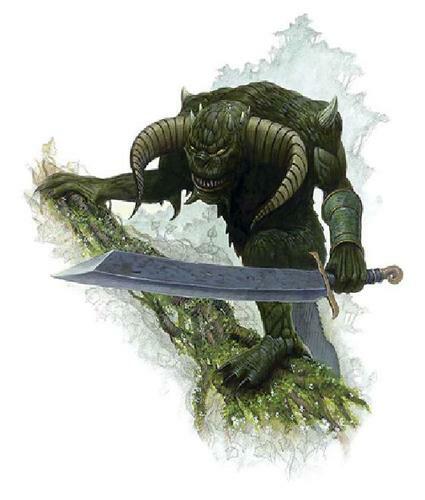 Some of the known intelligent humanoid spawn include: blackspawn raiders, greenspawn sneaks (commonly known as goblins), greenspawn zealots, brownspawn marauders, redspawn arcanis and purplespawn nightmares. Though there may be others in distant realms and regions. As part of her attempt to gain more influence over Iomandra, Tiamat created (and continues to create) her spawn. 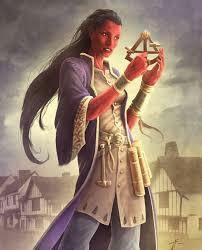 They are not her only draconic creations (see draconians above). These evil servants of Tiamat are one of the most populous races of Arkhosia. Many perform specialised roles for the Dragovar Dynasty. In Bael Nerath, some surviving dragonspawn inhabit ghettos or live lonely lives among the civilised areas, barring the brownspawns, that live in the wild. 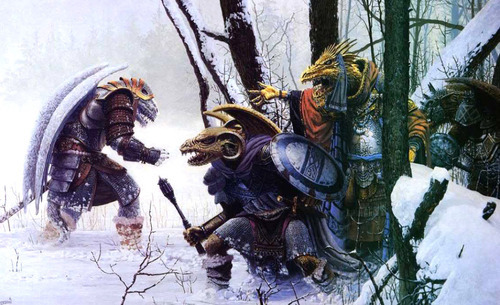 Dragonspawn are one of the major races of Sanghor and rule alongside the orcs in a kingdom devoted to Tiamat. Dragonspawn hold similar positions in Maru-Qet but there are also wild brownspawn marauders in the deserts. Lone tribes of dragonspawn are found among the islands of Kotar and are considered enemies to the humans there. It goes without saying that dragonspawn typically worship Tiamat. • You excel at seeing all things from two different points of view. • You are like no other race known. Others find your duality confusing and will likely bombard you both with endless questions before they are comfortable dealing with you. • You know dvati enclaves are found throughout other planes and worlds. You feel no strong connection to Bael Nerath, or even Iomandra itself. It is merely one curiosity among many in the multiverse. To find lost artwork, treasures and luxuries of past empires, to better the connection between your pair, to prove a theory or something you read somewhere, to seek the best instructor for your chosen pursuit, wanderlust, to learn more about another race, or simply to experience something new. Known dvati compounds are only found in Bael Nerath. Dvati worship their own god, Thelmeth the Unifier (as detailed on Iomandra Religion page). • Dwarves have long memories and haven’t quite forgiven the dragonborn, but they’re trying. • Status within dwarven society is based on wealth; the rich lead, and the poor follow. 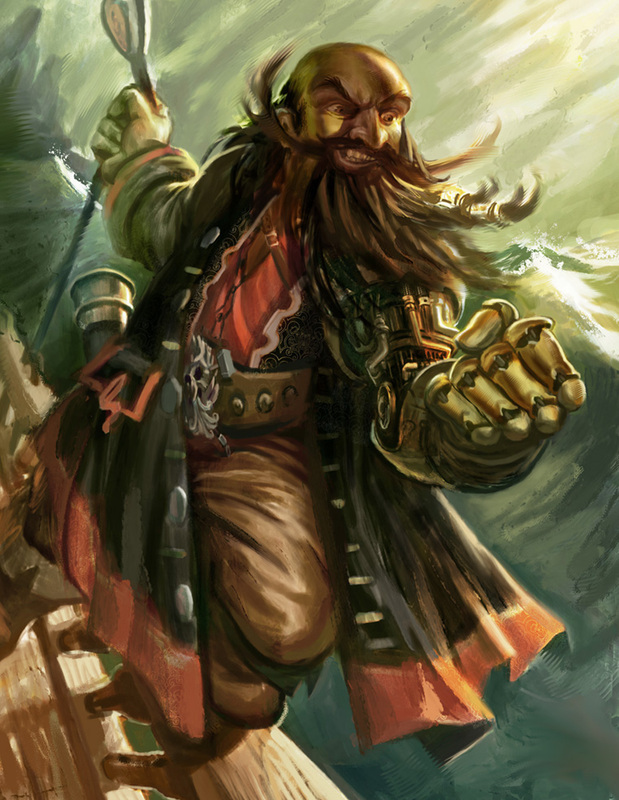 • Dwarves are elemental souls with as much fondness for the open sea as the land. Search for the glory that comes only from wealth, help your people rebuild the kingdom of Gar Morra, build your own ship in the name of Moradin, forge new relations with the dragonborn, explore the mysteries of the Hollowdark, or slay the orcs who murdered your kin. Most dwarves have committed themselves to rebuilding Gar Morra, but some dwarves are scattered across the Dragon Sea, living in Bael Nerath, Arkhosia or on the open seas. Dwarves see the elements as philosophical forces as well as physical. Dwarven priests typically revere a chosen element over the others, but may also dedicate themselves to each of the elements. Some dwarves also follow deities of the Standard Pantheon (as on the Iomandra Religion page). • Dragonborn lack a sense of humour. At least humans seem more accepting. • You need to acquire wealth for your clan on your wanderings. • Always think of a reason to go to a new place, never a reason not to go. 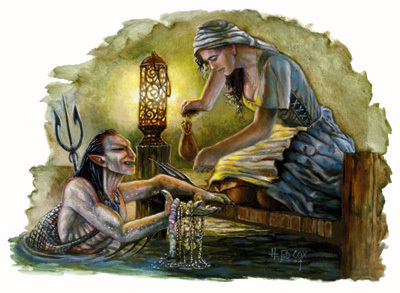 Amass wealth for your clan, mere amusement or curiosity, to better an ancestor’s accomplishment (of defeating a bigger monster, finding a greater treasure or sailing further), to protect a friend from the truth. There are no known earth gnome communities beyond the many hidden clans found throughout Arkhosia. Gnomes never really show the inclination for devotion to deities. They do not deny they exist, but simply have no time for them. It is said this was not true before the dragonborn enslaved the gnomes, but since then, the gnomes have not concerned themselves with the gods. Little is known about this plane-travelling mysterious race, but they have been granted some sort of protection in Arkhosia as the emperor has several Witches of the Weird in his employ. Arkhosia - mainly on the island of Mragvar.
? Check Race writeup? OR Dead/abandoned gods. Mean (Minor). Githyanki despise all other races and are very aggressive in their dealings. The penalty does not apply to other githyanki. Bonus Proficiencies. 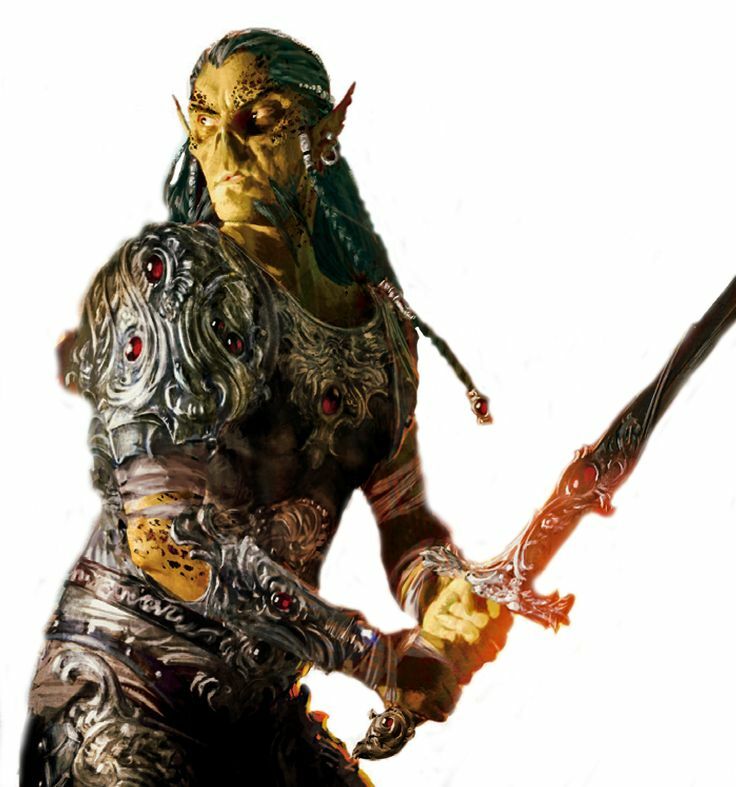 For each minor drawback assigned to a githyanki, you select one of the following: Athletics, Endurance, Intimidation, Perception, or any one weapon group proficiency (Simple). • People that accept challenges and are competent impress you. People that do not accept challenges and are incompetent are not worth worrying about. To assist a close friend or clanmate, for the challenge, to hunt the greatest beast, to bring back items of use to your clan, to experience new terrain and survive it, to act as a guide, because you were exiled, to find the old gods, or you are young and want something more than clan life. Elders speak of a time when goliaths worshipped their own gods, but now they follow the gods of the Standard Pantheon. Kord is an obvious favourite among the Goliaths. Lumbering (Minor) or Shy (Minor). Your bulk means you are not as agile or flexible as other races and goliaths typically live in isolation and are self-reliant. Bonus Proficiencies. For each minor drawback assigned to a goliath, you select one of the following: Endurance, Insight, Intimidation, Survival, or leatherworker's tools. 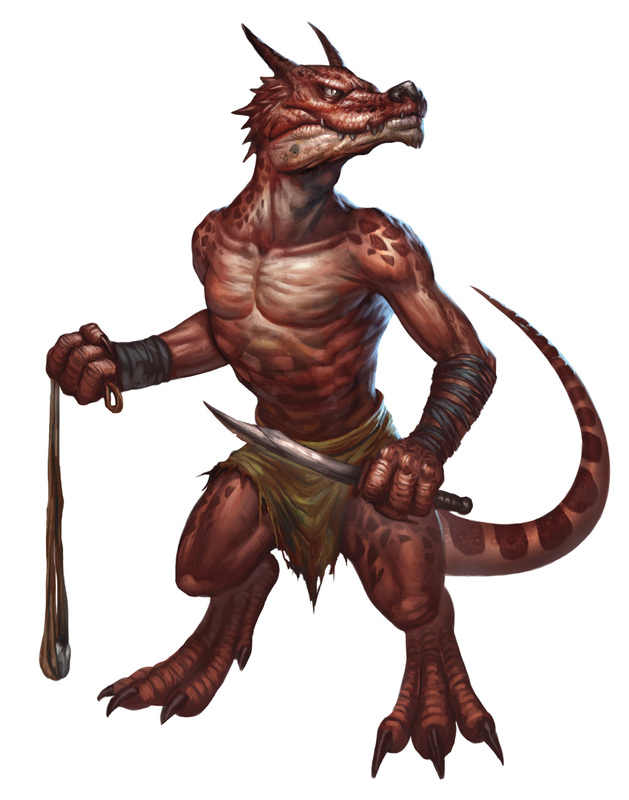 Strangely, kobolds do not fit into any society, including any other draconic civilizations such as Arkhosia and Maru-Qet. Kobolds serve dragons directly and are only ever found on islands with dragon overlords. They answer to no one and serve none other than their dragon overlord. Kobolds have been known to go insane or even will themselves to death at the loss of their overlord. Others will immediately seek out another master. As they do not travel by sea, it is suggested master-less kobolds sprout wings and fly to the nearest dragon lair, drawn by some mystical connection (or just the will of Io). Anywhere there are dragon overlords, including isolated and undiscovered islands. As might be expected, religious kobolds worship their dragon overlord and possibly pay fealty to that dragon's deity too. Bonus Proficiencies. For each minor drawback assigned to a kobold, you select one of the following: Arcana, Endurance, Perception, Stealth, or trapmaker's tools. • You are more at home in water, but along with your race’s association with the land dwellers of Bael Nerath, your pheromone sensors are also improving with time on land. • As your mood tends to reflect that of other people around you, it takes others some time to work you out. • You and your clan have likely sworn allegiance to one of the Barons. (Nautolans need very little motivation to adventure, as most are adventurers at heart). To destroy sahuagin or anguillian settlements or those that would ally with them, for excitement, to see new people and places, because your companions are, or because the world is there to be explored. Nautolans are not religious at all. Sane nautolans try not to get the attention of the dark entities of the deeps. Very few have heard of the strangely-named beings of Nautolan myths, but a few crazed cultists might think they worship beings like Cthulhu. 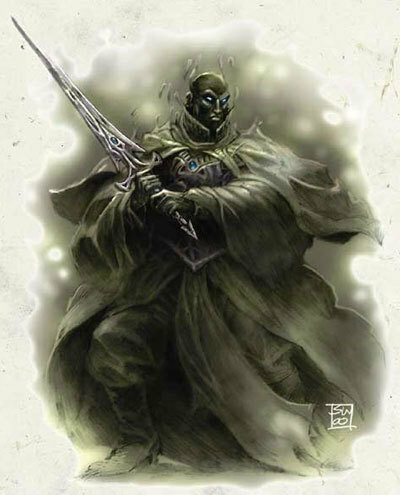 Anyone that does uses the warlock class (5E D&D The Great Old One patron, Player's handbook p109. 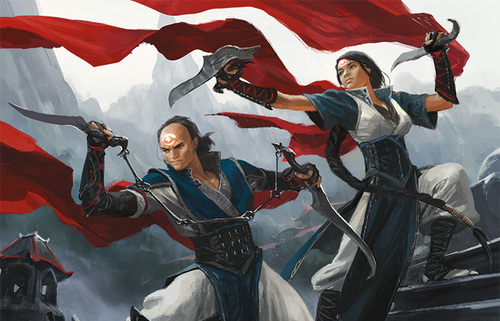 Also see the Star Pact feature from 4E D&D Player's Handbook). Bonus Proficiencies. For each minor drawback assigned to a nautolan, you select one of the following: Acrobatics, Endurance, Insight, Intimidation, Performance, Persuasion, or one musical instrument group. Undead citizens of the little-known southern city of Nocturnus in Bael Nerath, these are people that have entered unlife willingly to continue their magical studies. Generally, people that know of necropolitans vary in their reactions. Some people will associate them with other undead that wreak destruction in other parts of the realm, but given the realm’s appreciation of arcane magic, many also understand why one would undertake the Ritual of Crucimigration. Necropolitans tend to continue to worship the deities they did in life, so most come from the Standard Pantheon. 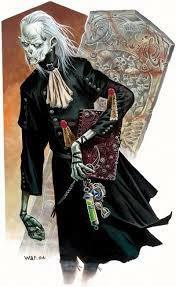 Of course, given most necropolitans have sought undeath, Vecna is by far the most commonly worshipped deity in Nocturnus. Orcs are fairly typical tribal raiders as presented in the core rules, however, many tribes are also sea-faring savages. They use large rafts, canoes and sometimes massive combinations of these vessels. They are often heavily tattooed and go on long journeys to raid and settle. 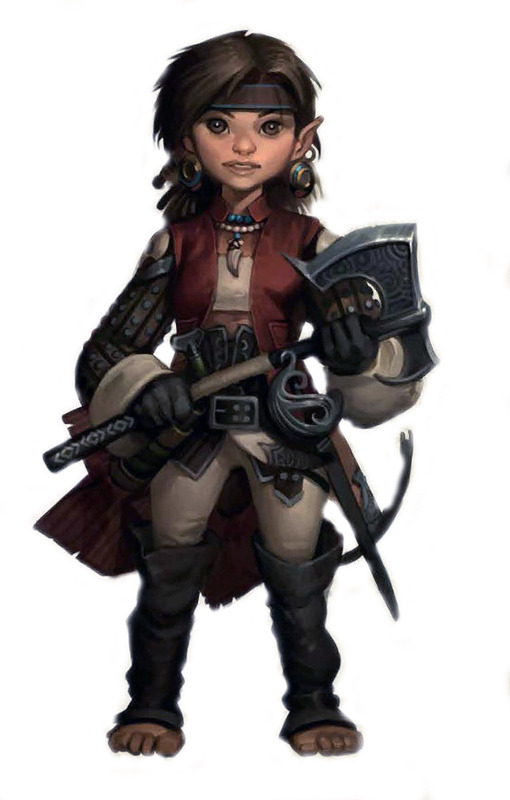 Although primarily found in Gar Morra, Kotar and Sanghor, individual tribes that have sailed to distant lands can appear anywhere. (Inspired by the Polynesian sailors and explorers of the real world, orcs are fascinated with ocean voyages and settling new islands). Orcs practice animism and worship spirits from insignificant forest and sea spirits to greater spirits with individual names that are essentially gods. Violent (Minor). Aggression is core to an orc's being. You do not have to take this drawback - it is optional. As an adventurer, you may have overcome your violent nature. Bonus Proficiencies. For each minor drawback assigned to an orc-blooded, you select one of the following: Athletics, Axes & Picks (Simple + Martial), Brawling Weapons (Simple + Martial), or Spears (Simple + Martial). • You value your status as strong warriors, but likely employ dragonborn arms and armor, and even methods. • You have no homeland. You feel no connection to any place, but are comfortable living with the dragonborn. Seek fortune for your family, make a name for yourself as a great gladiator, explore new lands and old ruins, forge alliances with lost tribes, locate and tame rare beasts, find a bounty, or simply seek to prove your people are greater than their humble beginnings. Your religious inclination can vary as much as any human's. Being raised in Arkhosia, makes Bahamut or Tiamat your likely deity if you have one. You are also free to follow other deities of the Standard Pantheon. Outsider (Minor). This drawback only applies outside of Arkhosia. 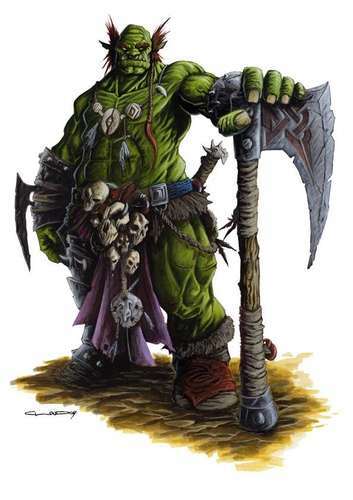 In Arkhosia the warrior tradition of orc-blooded is admired. (You cannot benefit from this drawback if the game is taking place in Arkhosia). Bonus Proficiencies. 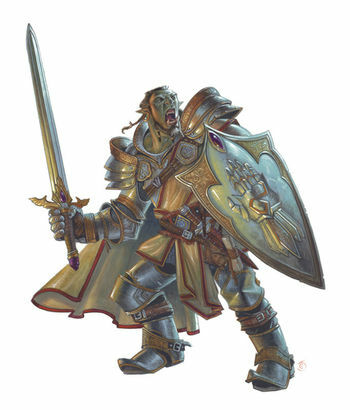 For each minor drawback assigned to a half-orc, you select any one of the following: Athletics, Endurance, Intimidation, Axes & Picks (Simple + Martial), Brawling (Simple + Martial), Clubs & Staffs (Simple + Martial), Long Blades (Simple + Martial), Spears (Simple + Martial). Alliances have been formed with these sea devils and trade flourishes with them among the corrupt of Maru-Qet and Arkhosia. The sahuagin are seekers of sunken treasures. It appears sahuagin worship has no consistency across tribes. One tribe may worship a demon prince like Dagon, another a unique god, whilst a third may pay lip-service to a powerful dragon or any other entity. • Humans tend to remain on good terms with your people, as you are able to return many great treasures to the surface world. • You are shy and feel uncomfortable after spending time in the settlements of other races. 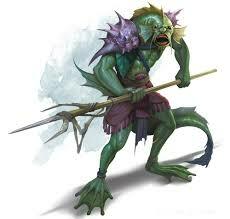 Simple inquisitiveness, seek to improve the health and wealth of your community, gain vengeance upon an enemy that targeted a sea kin home, find treasures in submerged ruins, embrace the merging of the land and sea, find other sea-dwelling races that could become allies, or establish friends and contacts upon the land that will benefit you and your community. Most sea kin see Melora as their patron deity, for it was she that saved the humans from sea-side towns that worshipped her when the cataclysm struck. Melora granted her followers life and the first sea kin came to be. However, whilst Melora is considered a racial patron, individuals are free to worship any deity they wish. Members of a small group of islands in the southeast of Bael Nerath that have devoted themselves to the powers of the Shadowfell. The people of Bael Nerath are usually unfriendly to the shades. Shadovar worship a goddess unknown to the rest of Iomandra that goes by the name of Shar (as on the Iomandra Religion page). Most shadovar simply use the shadar-kai race (4E D&D Dragon Magazine article/PDF). The most powerful become shades. (Shade template in the 4E D&D Forgotten Realms Campaign Settingp260). 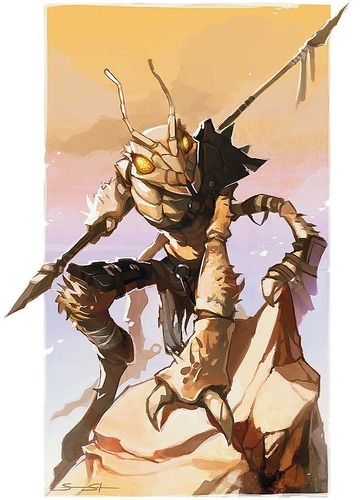 Only found in the grasslands in the east parts of Bael Nerath (though there are rumours of insectoid sentients wandering the wastes of Maru-Qet too). They remain completely autonomous to the governments of the barons. All negotiations with them have not even got off the ground, as the thri kreen hunt any trespassers on their lands. Most people are indifferent to the kreen, except those that have suffered directly from their hunts. Religion is an alien concept to the thri-kreen. The only reported case of them paying any fealty to another being is when they have served dragon overlords in the past. • You are aware you make others uncomfortable or curious. • You see beyond skin and scales. A race is to be judged by its capabilities and intelligence. • Although you recognise they exist, you do not worship gods. Such time wasted is not practical. To find an explanation to a curiosity such as the Dragonsea, the Black Curtain or the Storm of Io. To find evidence for a long term plan of your people, such as finding another new home, to discover other people with similar mind powers, to find ancient artefacts or components required for important rituals or learning, to learn from a known hero, seek out lost lore in ancient ruins, or to attain power and treasure that will help you (and your people) in the future. Bael Nerath. (Verrik are actually from Maru-Qet, where their ruins can be found. They fled to Nerath not long after the cataclysm as they were systematically being wiped out by the ruling dragonborn there). Verrik do not worship gods, but recognise their existence. Much like the tieflings, they accept ancestor worship, but this does not pervade verrik culture. Sensory Control. As a bonus action or a reaction a verrik can shut down any number of their senses. This means applying the deafened and/or blinded condition. 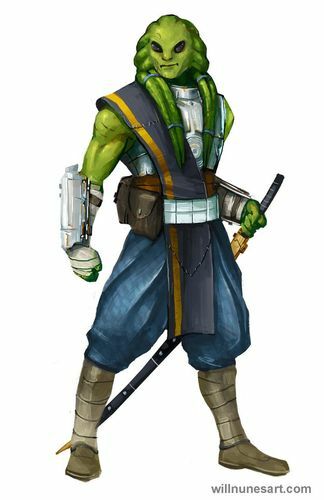 Loss of smell could provide bonuses against scent-induced sickness and shutting off touch reduces all damage by 2 for the round, but the verrik has disadvantage on all Strength, Dexterity and Constitution checks, including attack rolls made with these abilities. Verrik can also ignore the effects of extreme heat and cold, as described in chapter 5 of the Dungeon Master's Guide. Bonus Proficiencies. For every minor drawback assigned to a verrik character, choose one of the following: Acrobatics, Arcana, Intimidation, Investigation or calligrapher's supplies.